Thymus gland. 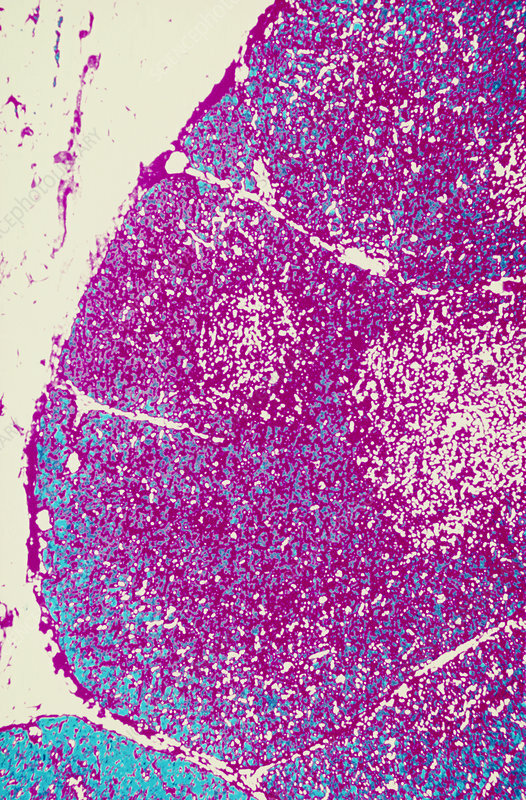 Light micrograph of a section through a healthy human thymus. The thymus is a gland in the lower part of the neck that is involved in the maturation of T-lymphocytes, a type of immune cell. The gland is arranged in two distinct zones: an outer, densely packed cortex (purple) and an inner medulla (pink, far right). Magnification x100 at 35mm size.